Whether you operate a local convenience store, a small food service outlet, or even a large, full-service restaurant, having well designed and executed promotions can help boost your bottom line. Product-tied promotions help generate consumer 'buzz', often in the form of contests, pricing offers, and value-added giveaways that can attract new customers while helping to retain existing ones. Great promos make your business stand out from the competition, and can be the deciding factor for consumers when choosing where to purchase grocery items, beers, sodas, and other beverages. The team at Bernick's knows how smart promotion planning pays off through expanded sales and increased customer loyalty. We also know that the key to a successful promo is making sure all the stakeholders are on board, starting with your employees. Including your employees in promotion planning increases employee 'buy-in' while reducing confusion at the cash register. Staff members who have a say in the design and execution of promos will have a sense of ownership in the promo that tends to trickle-down into their excitement on the sales floor. Use your frontline team members to survey consumers to gather promotional ideas. During your promotion planning, consider including incentives for your staff members as well - daily awards for the most promo products sold, contests to win prize packs and promo-related merchandise can all be used to encourage your team members to talk up your promo to customers. It's also important to make sure everyone on your sales team understands the parameters of your promotion; this means clearly spelling out all the terms and conditions of sale pricing and incentive rewards. Few things are more frustrating to the consumer than complex sales schemes and giveaways that are difficult to decipher. During your promotion planning stage, take time to plan but aim for simplicity, and be sure to communicate extensively to your staff via team meetings and memos. So, What's Defined As A Promotion Anyway? When it comes to retail sales of beverages and grocery items, a promotion can include anything from a special price cut on a particular product (like a buy 2, get 1 free deal), a free entry into a drawing, purchase and get a free item (such as a t-shirt, mug, or free complementary product like candy or chips), purchase with purchase promotions and more. Depending on the type of business you operate and where you're located, local and/or state laws may regulate promotion planning, contest regulations, and giveaway rules. In most jurisdictions, contests are restricted by age of consumers, so be sure to check with your local regulations before launching a promotion that involves winning a drawing or contest. 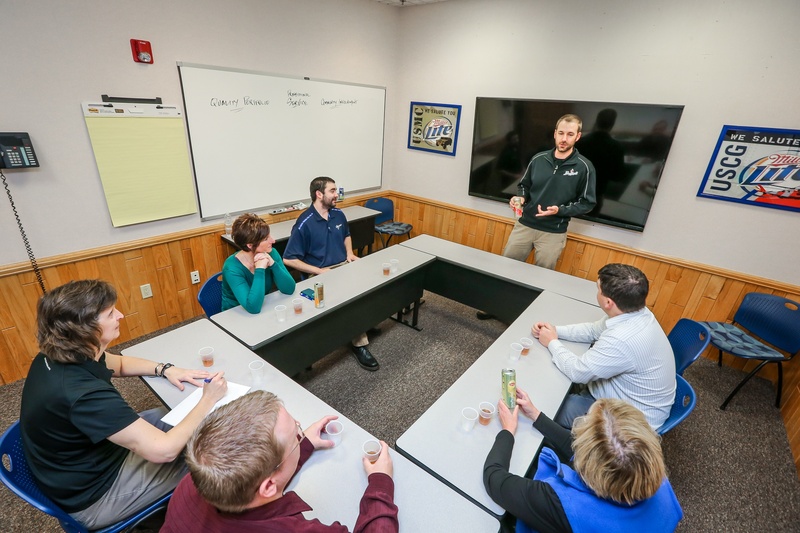 As the premier distributor of beverages in Minnesota and Western Wisconsin, we know what it takes to design and deliver a truly great promotion and we are here to help! To learn more about how the team at Bernick's can help with your promotion planning, talk with one of our Reps today!